72 m² / 2 pers. 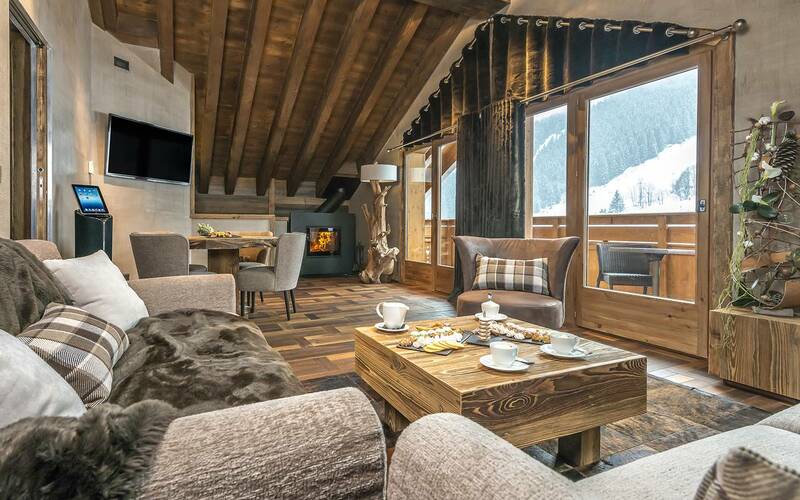 A suite modelled on the typical mountain chalet located on the uppermost floor of the hotel, offering an exceptional view over the Meribel estate. 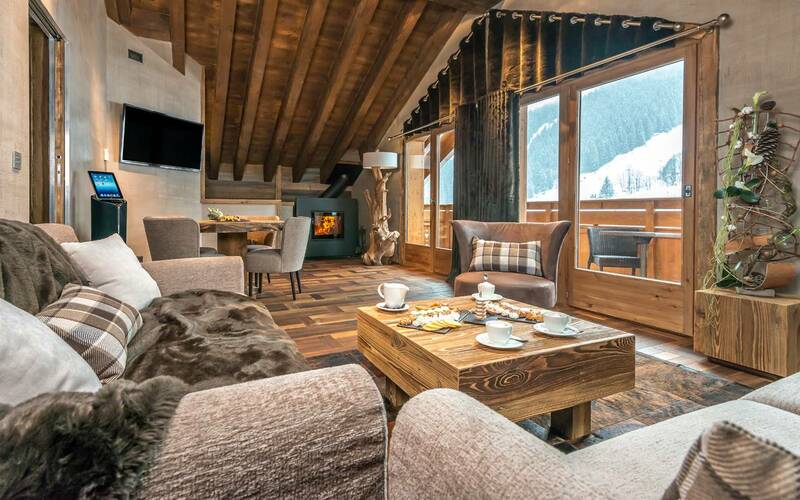 It is comprised of a spacious separate lounge, a dining room table and a wood-burning stove. An impressive room with exposed beams and a dressing room. 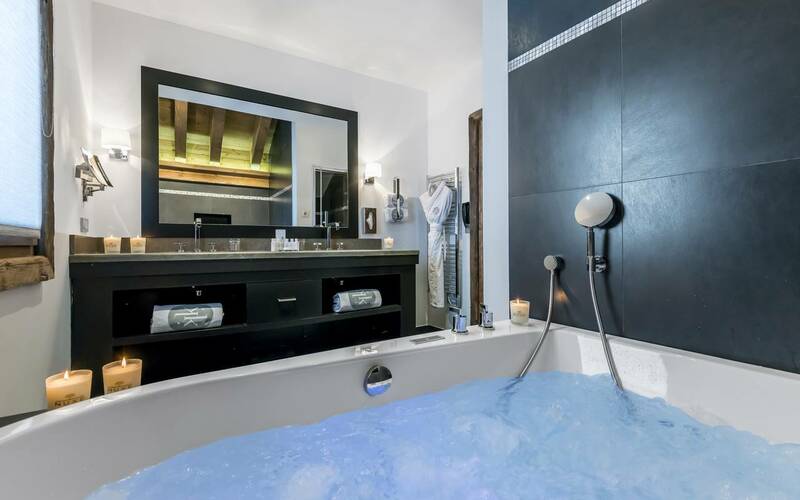 A bathroom with natural light and a large spa bath and TV and a steam shower. 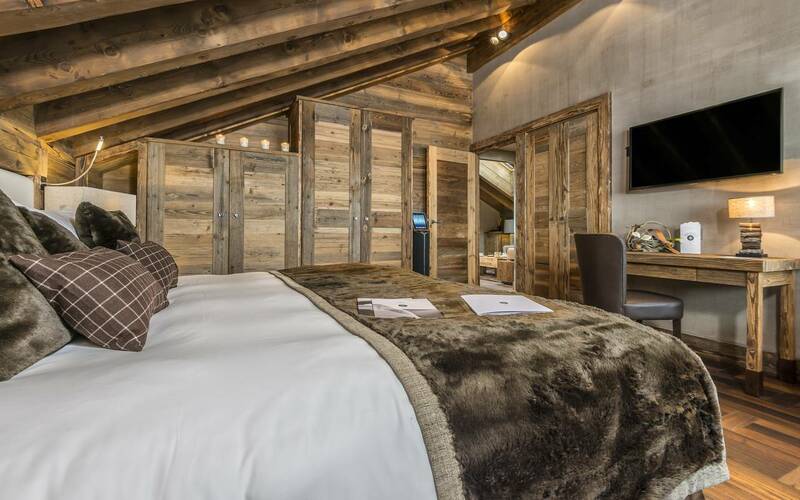 The option to configure inter-leading rooms: The Kaila Suite.